In an Inside Health Policy article published on Wednesday, June 6, Thorn Run Partner’s Vice President Shea McCarthy discussed HHS Secretary Alex Azar’s recent indication that the HHS will not block “silver-loading” of insurance plans for 2019. As Mr. McCarthy explained, “while the Trump administration’s approach to ACA implementation has led many advocates to embrace the notion that HHS would seek to undermine Obamacare at all costs, Secretary Azar’s decision to embrace the practice of ‘silver-loading’ sends a slightly different signal.” As he pointed out further, the administration likely recognizes the political implications of significant premium increases coming during the height of election season, and may be sensitive to the fact that they could invite further scrutiny by taking additional steps that would increase costs. Thorn Run Partners (TRP) announced today the promotion of Elizabeth Remley to Partner. 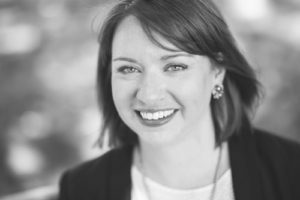 Remley is part of the firm’s Portland, OR office where she has led state legislative efforts for numerous firm clients since 2012. Remley specializes in Oregon government relations services with well over a decade of deep relationships in the Legislative and Executive Branches. Yesterday's Politico Influence newsletter — the leading government relations beat in Washington, D.C. — covered the addition of Thorn Run's newest partner Jim Davenport. In an interview with Politico, Davenport complimented TRP's "very innovative" strategic communications practive TRP Engage, and also touted the firm's health care and financial services practices. Prior to joining Thorn Run, Davenport was a managing partner at Alcade & Fay where he represented cities, counties, school districts, airports, navigation districts and independent tax authorities. Thorn Run Partners (TRP) announced today the addition of Jim Davenport as Partner in their Washington, DC office. Davenport comes to Thorn Run from Alcalde & Fay, where he specialized in representing local governments and other public entities for over 18 years. Davenport’s addition to Thorn Run follows the recent addition of Partner Greg Burns and Vice President Mary Scott Hardwick, both of whom brought a strong pedigree in representing local governments in Washington. In today's Politico Influence newsletter — the leading government relations beat in Washington D.C. — Thorn Run Partners was cited following addition of Greg Burns and Mary Scott Hardwick. Burns joins TRP as a partner, and Hardwick will work as a Vice President. 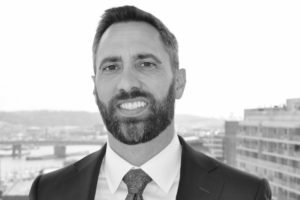 "Coupled with the considerable local government work our Portland office already performs under the stewardship of our partner Dan Bates, these two new colleagues are going to supercharge that practice and add a real spark to our firm," stated TRP co-founding partner Chris Lamond. Thorn Run Partners (TRP) announced today the addition of Greg Burns as Partner and Mary Scott Hardwick as Vice President to their Washington, DC office. Both Burns and Hardwick come to Thorn Run Partners from Van Scoyoc Associates, where they specialized in local government representation. Thorn Run Partners (TRP) announced today the addition of health policy expert Andrea Maresca as Senior Vice President. A veteran regulator, analyst, and advisor with over 15 years of policymaking experience in both government and non-government roles, Ms. Maresca maintains a deep reservoir of strong relationships and an unsurpassed knowledge of federal health policy issues, with a particular expertise in Medicaid.